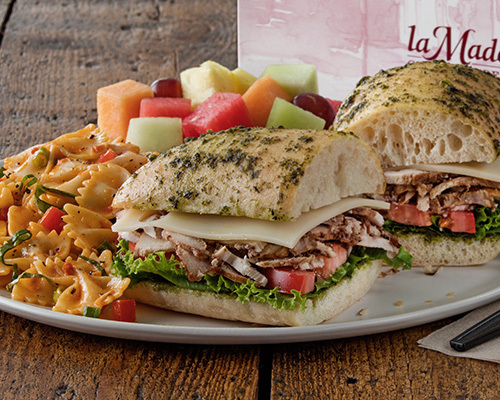 la Madeleine's signature bistro sandwiches with a choice of salt & pepper chips or tomato basil pesto pasta salade and a fresh-baked cookie or fresh fruit salade. 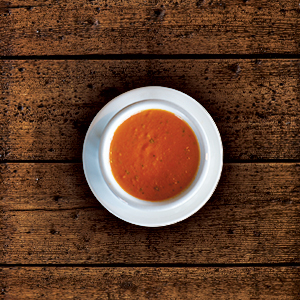 An entrée salade with chicken served with fresh fruit salade or a fresh-baked cookie. Smaller portion for large groups of 25 or more. Half bistro sandwich with choice of one side: salt & pepper chips, tomato basil pesto or fresh fruit salade.